The Subcostales/Infracostales consist of muscular as well as aponeurotic fasciculi, which are generally only well-built within the lower portion of the thorax. Each one emerges via the inner surface of one rib, and is attached near its angle within the inner surface of the second or third rib below. Inner surface of one rib. 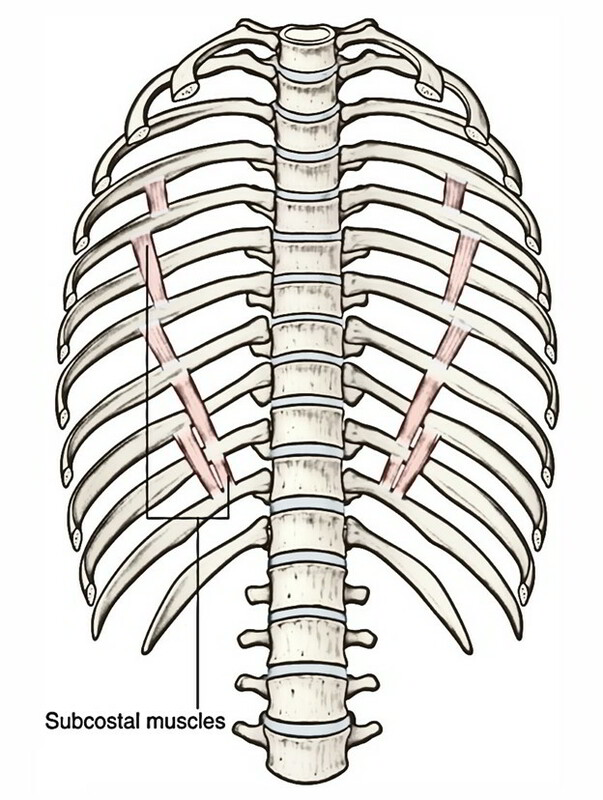 The subcostales are within the same level as the inmost intercostal muscles; they spread above multiple ribs, and are more abundant in lower zones of the posterior thoracic wall. They spread through the internal surfaces of one rib towards the internal surface of the second/next or third rib below. Their fibers go alongside the path of the internal intercostal muscles and also expand via the angle of the ribs towards more medial locations on the ribs below.